Yesterday, DIBP (Department of Immigration and Board Protection) released the new round of EOIs. The department announced that due to high levels of demand, Electronics Engineers, Industrial, Mechanical and Production Engineers, as well as Registered Nurses, are subject to pro rata arrangements. Hence, points scores and the visa dates of effect will cut off for the below occupations for the 23 November 2016 invitation round. In terms of points score, Accountants and Auditors have needed 70 points for 189 invitation so far. 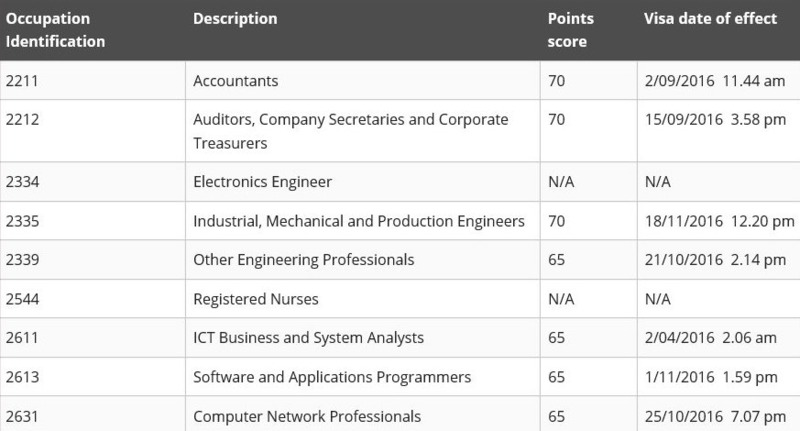 ICT Business Analysts and Software Engineers currently require 65 points, and 60 points is required for other Engineering Professionals and Computer Network Professionals. In order to achieve more marks to apply for a permanent resident visa as soon as possible, you definitely need to know what SkillSelect and pro rata are, as well as how you can achieve more points. 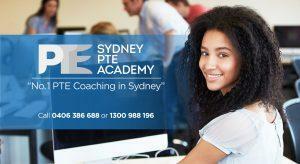 Book a FREE trial class at Sydney PTE Academy! SkillSelect is an online service that helps Australia manage its skilled migration program. Skilled workers and business people interested in migrating to Australia can be considered for a skilled visa by submitting an Expression of Interest (EOI) through SkillSelect. An EOI is an indication that you would like to be considered for a skilled visa, however this is NOT a visa application. 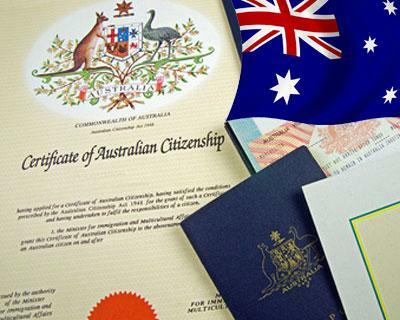 After providing a range of information in the EOI including basic personal information, nominated occupation, work experience, study and education, level of English skills, details of a skill assessment related to your nominated occupation, the candidates can then be found and nominated for skilled visas by Australian employers or state and territory governments, or they might be invited by the Australian Government to lodge a visa application. Pro-rata occupations are those where a large number of EOIs have been lodged, and the occupational ceiling would be at risk of being met early in the program year. As a result, the minimum score for an invitation in a pro-rata occupation may be higher, or the waiting time may be longer than other occupations. For current nursing students, the good news is that Nurse Practitioners' assessment agency ANMAC allows candidates to combine two English language tests' results (both taken within 6 months) that equal to band 7 in each section of IELTS. 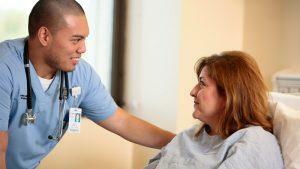 PTE Academic is one of the new choices for nursing applicants. To be more specific, nursing applicants must achieve a minimum score of 65 in each section of PTE Academic, and no score in any of the four communicative skills can be below 58. How to get more points to apply for a Permanent Resident Visa? PTE Academic is the English test trusted by Australian Government and test takers can use the test to prove their English ability as part of a visa application. Normally, PTE Academic results are available in three to five business days, and PTE Academic offers flexible test dates. PTE Academic assesses the real-life English skills you will need and not only does it assesses test takers abilities in Speaking, Reading, Listening and Writing, it also tests in an integrated way that reflects real-life situations as well as testing academic skills. Sydney PTE Academy specialises in PTE coaching and training and offers the best quality PTE preparation courses in the Sydney CBD area. Based on the best modern communicative teaching methods, the students are guaranteed the best chance to gain the results necessary to pass visa (PR), and university language requirements. Besides the PTE coaching and training courses, we provide our exclusive online practice system for all students to prepare for PTE Academic, our multi-media classroom has projectors as well as laptops for PTE Academic teaching and practice, and we also provide all students with computers in the classroom. For more information, please visit our website www.sydneypte.com.au . 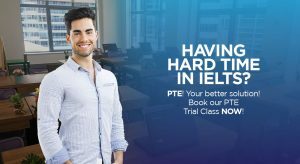 You can book a free trial class to get tips and information about PTE Academic as well as our course arrangements, or call us on 0406 386 688 for other enquiries.